Yoga has taken the country by storm. With the increasing popularity of the yoga practice, it is natural that the amount of yoga teachers and trainings around the country expands. With nearly every studio offering their own teacher training course, choosing the perfect program is definitely not easy. If you’re thinking of Yoga Alliance registered yoga school, be sure to take these things into consideration. What is the format of the teacher training program? Before enrolling in a teaching program, take time to determine what’s included in the program. Determine the dates of the program and look for a posted daily agenda for the training. If the dates are unclear or you can’t find a daily agenda, ask the program manager. Ask about possible make-up dates and how you would finish the hours if you have to miss a weekend. Read the description on their website, get to know the teacher leading the training or talk to people that have attended in the past. There is no point in attending a training that focuses on alignment and sequencing if you want to learn primarily about the sutras and traditional yoga philosophy. If you prefer personal attention, attending training where there are lots of people won’t make any sense. Click here to see the format of Camp Utopia’s upcoming yoga teacher training in North Dakota and Montana. What style of yoga will you learn in the teacher training? Remember that this will be the foundation of your teaching, so it is important to consider the type of yoga you’ll be learning. Unless you have all the time and money in the world, invest in a training on a style of yoga you absolutely love. Find a style that will allow you to speak truthfully from your heart, a style that feels good in your body and speaks to you. Be aware of the “brands” of yoga. If you want to teach Bikram yoga then you must attend a Bikram yoga training. In order to teach Baptiste yoga or in a Baptiste yoga studio, then you must attend a Baptiste training. If you’re confused, ask the program director or the studio where you want to teach. They will be the best source of information. At Camp Utopia’s yoga teacher training, you choose the style of yoga that you want to teach. You will learn over 108 poses and how to effectively sequence them together. If you prefer a gentle style of yoga then you can choose to teach a gentle class. If you like Hatha, you sequence the poses into a Hatha class, or a power vinyasa class, or a restorative class. We give you the tools to teach, and you teach in the most authentic way for you. What are the credentials of the yoga teacher? How long has he/she been teaching yoga? Who is the primary/lead teacher and how much will they teach? I’ve heard of yoga trainings where the lead teacher only taught about half of the program and other interns/assistants taught the other half. Make sure you like the yoga studio and you get a good “vibe” when you enter. You’ll be spending over 200 hours with the same group of people. Avoid drama and make sure you like the teacher. Is the teacher training a Yoga Alliance registered yoga school? 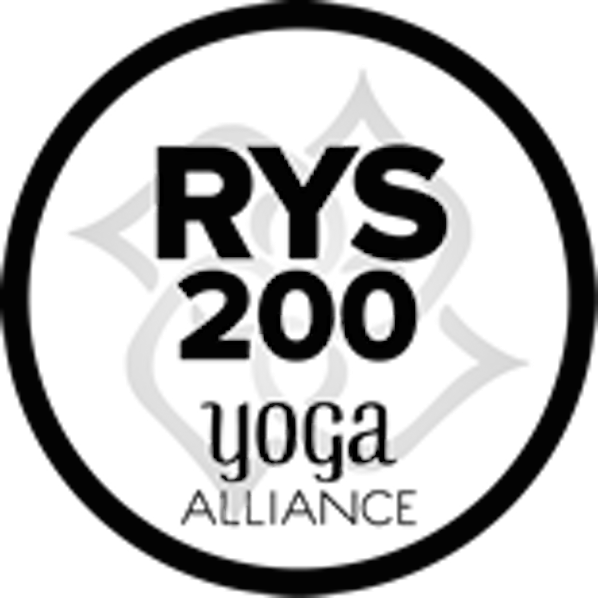 If you hope to teach yoga at some point in your life, make sure your training is registered with Yoga Alliance. Signing up and registering as a registered yoga teacher increases your visibility and your credentials since you’ll be a part of an organization that promotes standards for training and practice. Each yoga school should also display one of the following Yoga Alliance designations. If you don’t see the designation, ask the program director. Yoga teacher training was the BEST investment that I ever made. However, I encourage you to ask questions, check out the studio, set up meetings and talk with people about the training. Not all trainings are created equal and I want you to have a positive experience like I did.